For PUBG, Knives Out, Rules of Survival, Survivor Royale, Critical Ops, etc. Configuring the strong springs, perfectly with 4.5″ to 6.5″ Android or iPhone iOS Smartphones. Playing a mobile game with 4 fingers, shooting while moving and quickly improving your skills! Powerful Joysticks: Left-handed shoot and right-handed open-end mirror. M2 Scissorhands trigger enables you four finger operation against two, you can pull the visual and open fire when move. Winner winner, chicken dinner! Configuring the strong springs, perfectly with 4.5″ to 6.5″ Android or iPhone iOS Smartphones. 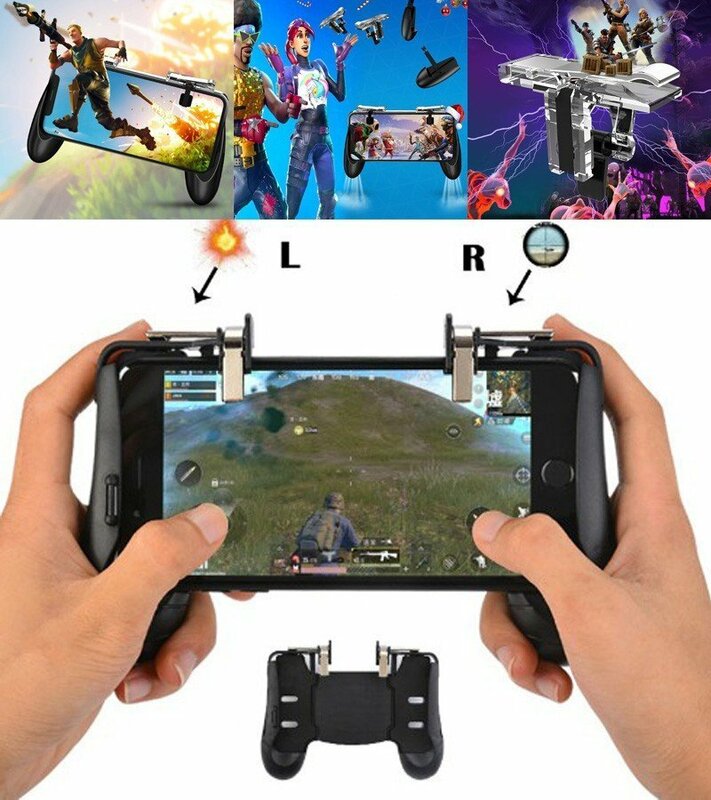 Removable replacement position assists to meet the needs of a variety of games, such as for PUBG, Knives Out, Rules of Survival, Survivor Royale, Critical Ops, etc. Portable and tiny for you to put them into your pocket, and have them for gaming when in office, school, trip, camping, and play games anywhere and anytime. No power supply and dr iver needed, easy to use, high precision, highly sensitive. 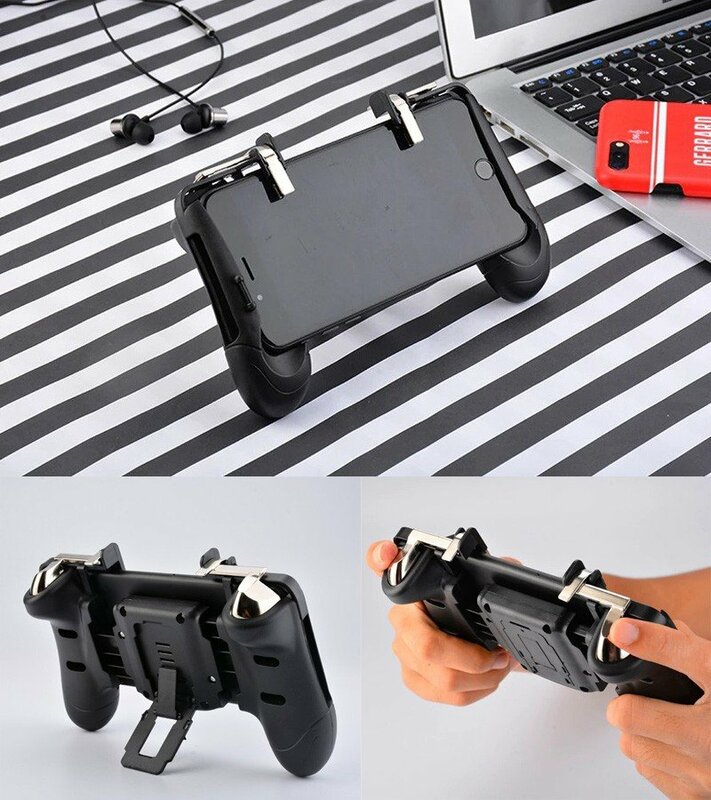 3-in-1 design of the PUBG game controller trigger handle grip makes you feel more relaxed and enjoy the gaming experience. Playing a mobile game with 4 fingers, shooting while moving and quickly improving your skills! Powerful Joysticks: Left-handed shoot and right-handed open-end mirror. M2 Scissorhands trigger enables you four finger operation against two, you can pull the visual and open fire when move. Winner winner, chicken dinner! ★For LTC “ScissorBrothers” H1 Mobile Game holder.